MEXICO CITY - Mexican authorities said on Sunday they had captured one of the top leaders of the Gulf drug cartel who was responsible for a recent wave of shoot outs and massacres in the northern state of Tamaulipas. Juan Rodriguez Garcia was arrested in a wealthy suburb of the northern industrial city Monterrey, National Security Commissioner Monte Alejandro Rubido told a news conference in Mexico City. Rubido said Rodriguez's struggle to gain control of the Gulf cartel was behind a wave of violence that has hit Tamaulipas this year. 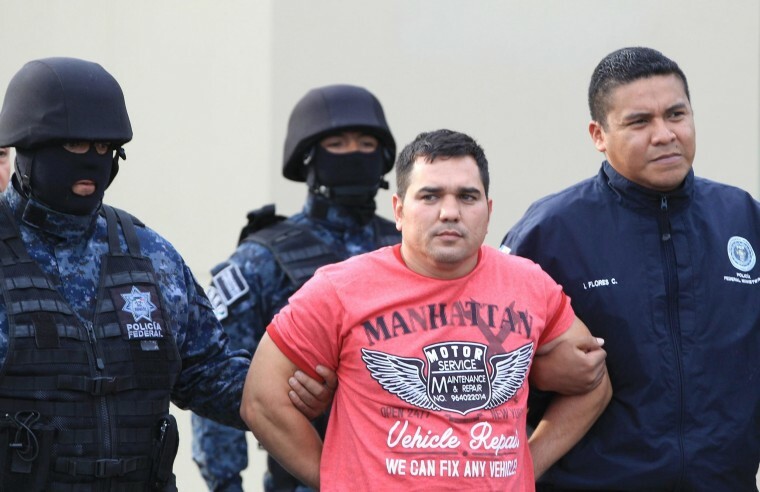 Mexican security forces caught Mario Ramirez Trevino, the leader of the cocaine-trafficking Gulf cartel, in August last year, setting off a battle for control of the gang. "The command of Rodriguez Garcia was not recognized by all the criminal factions of the group," Rubido said, adding that Garcia was one of the government's most wanted criminals in the region. The Gulf cartel has also been battling the Zetas gang over control of drug and migrant smuggling routes in Tamaulipas state, home to the biggest border crossing for trade between the United States and Mexico. Sixteen bodies had been found earlier this month at two different sites in the port town of Tampico in Tamaulipas. Mexican President Enrique Pena Nieto is trying to rein in drug violence, which has claimed the lives of more than 90,000 people since former president Felipe Calderon sent out the military to fight gangs at the end of 2006. Pena Nieto ordered a task force of federal and state officials in April to take over security operations in Tamaulipas amid concerns about corruption among local security forces who were failing to stop a surge in violence.